BlackBerry today announced the Q5 which is the third and the cheapest phone after Z10 and Q10 running on the company’s newly launched BB10 platform. This is basically a toned down variant for the Q10, bringing the company’s old QWERTY keyboard magic along with a touchscreen experience in a rather affordable price bracket. 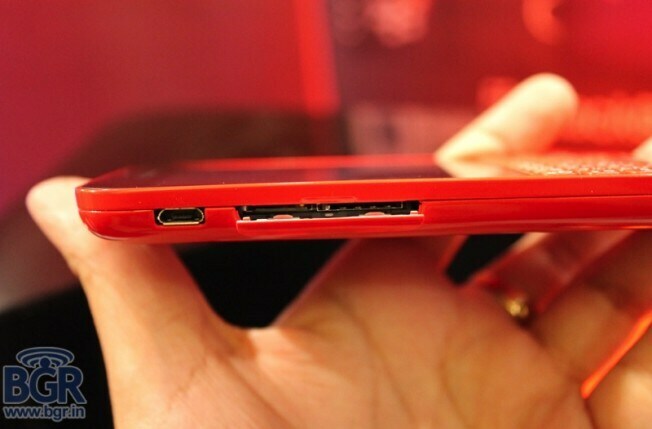 It is clearly targeted at the mass market looking for experiencing BB10 without digging a deep hole in their pockets. 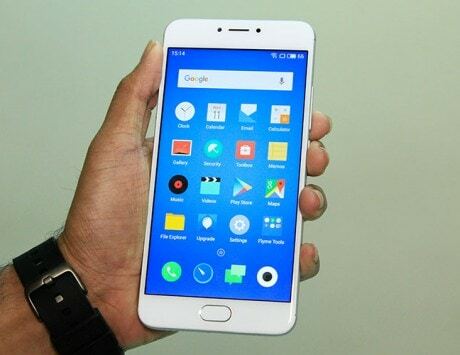 But with a price close to Rs 25,000, the Q5 will have to be making its way out of the already flooded market with a number of impressive offerings running on Android. And while the performance and its uptake are better to be left for later, we give you a gist of our experience in the first few minutes with the newbie. To begin with the hardware, the BlackBerry Q5 sports a similar sort of a form factor as was seen on the brand’s earlier offerings in the curve series. 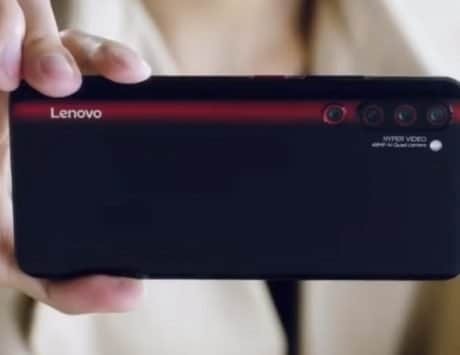 It is packed in a uni-body frame made of plastic which is neat and well crafted from corners, but is not as appealing as that seen on the Z10 and Q10 which donned rather rough and tough yet stylish frames. However, it fits in fine in the palm and is almost the size of the Q10. For those going by the photos, take a note that the unit we saw was a prototype unit and thus looked a bit too glossy – somewhat like a toy-phone, but the one that will be available for sale will hold mat-finished plastic body which will make it look smooth. In any case, the phone feels plasticy but then most of the branded phones in this range feel like the same. Moving to the keyboard, we found it relatively flat on surface with individual keys protruding to a right height and placed with ample amount of space in between, for a user to type comfortably on the device. 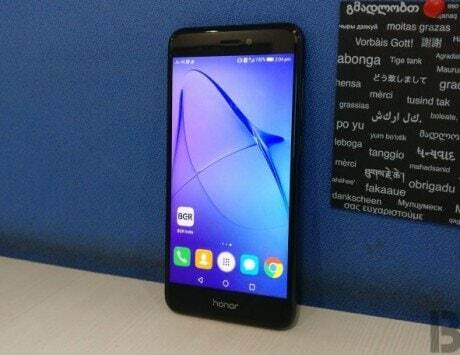 The phone offers both touch and type experience, and those interested in knowing about the touchscreen, the phone comes with a 3.1-inch IPS LCD touchscreen offering 720p in 1:1 aspect ratio. 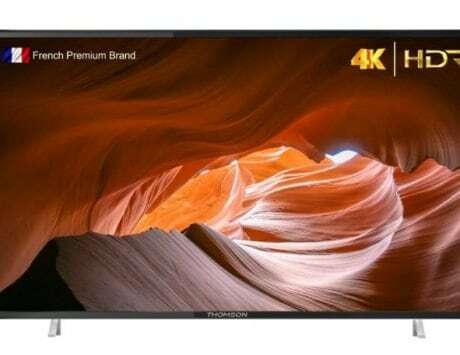 The display of the phone offers clear and sharp visuals and works pretty smoothly on touch, but looks a bit too small especially while considering other touchscreen devices we are accustomed of using. The keyboard takes about half of the space on the front panel and leaves the rest for the screen. In terms of key placements, the top of the phone has a metallic lock key and a 3.5mm audio jack. The right side has a plasticy volume-rocker, and the left has a SIM slot and microSD port hidden under a lid, and a microUSB port alongside. 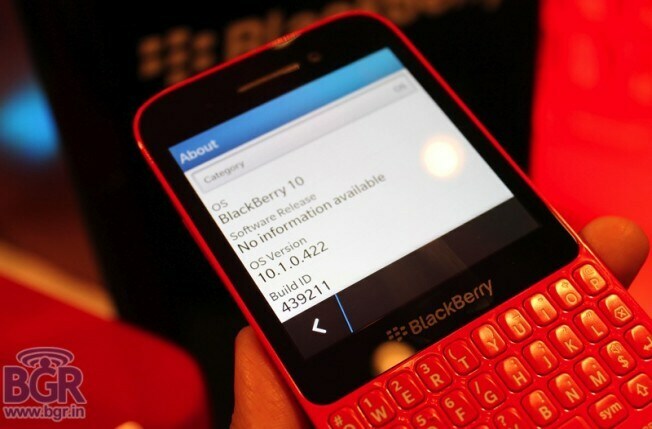 On the software front, the phone runs on BB 10.1 featuring BB Hub, and has third party mapping support for the device. To back the software performance is a 1.2GHz dual-core processor with 2GB of RAM. 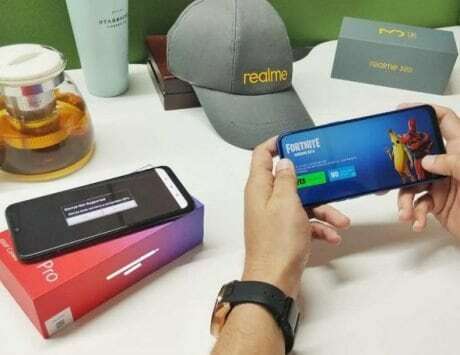 Performance-wise, though the device worked fine and was functioning smoothly, in the short time we had with the phone we could not really judge about the performance. We suggest you to wait for our full fledged review to know more about this segment. 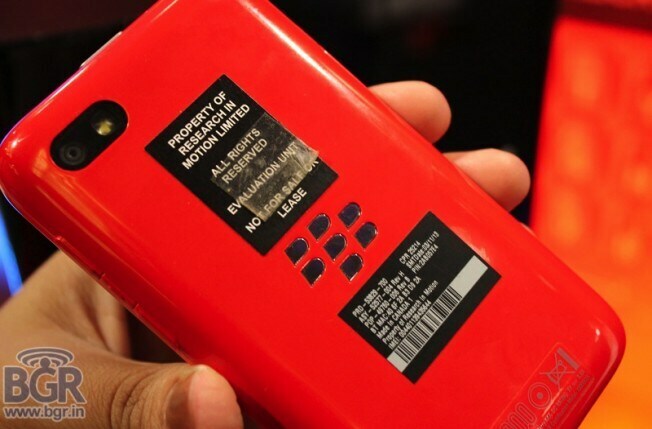 The back of the phone has a 5-megapixel camera with flash light and a BB logo marked in the centre. BlackBerry was never known for its camera, and the phone continues on this ritual. The camera of the phone works like usual and resulted in an average set of images. On camera features, it brings face-time feature along with several modes, and can shoot HD videos. The front has a 2-megapixel camera. 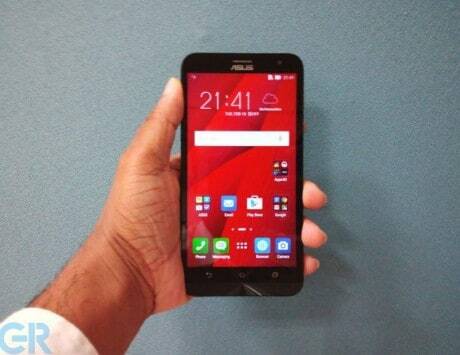 On the connectivity front, the Indian variant of the phone offers Wi-Fi, Bluetooth, 3G, GPS, but sheds the NFC feature. 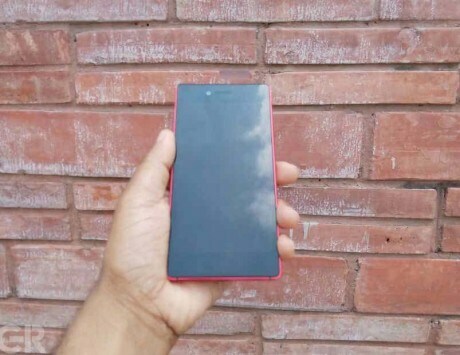 And to entice the targeted set of customers including the youth, the company has introduced it even in red color along with black and white to add a zing to the looks of the phone. 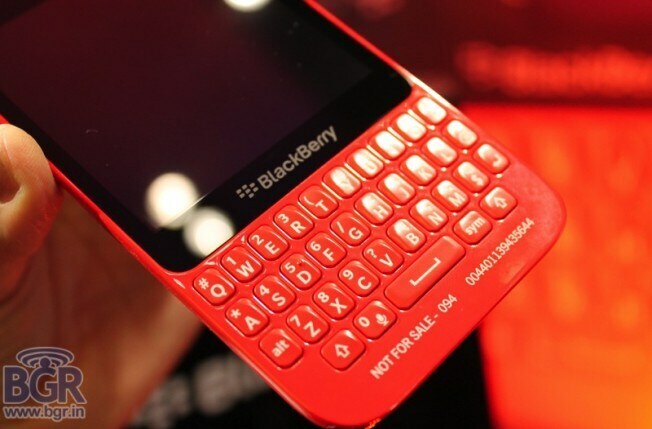 BlackBerry has launched the Q5 as a mass offering for Rs 24,990. 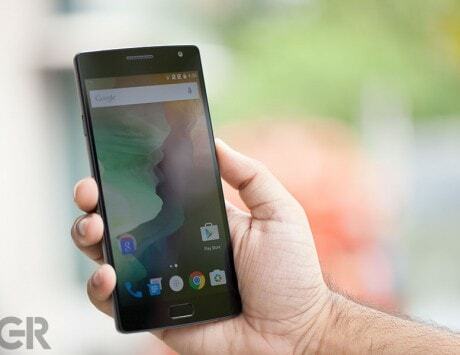 But will be challenging the likes of Android running devices, which currently have a strong grip on the market. And even though the phone looked a decent offering, we would only be able to comment more once we review the device.